It's the end of July and for most of the US this summer has been the hottest on record. Here where I live its been the coldest July on record, and I love it! I love the cold and I love Christmas so for today's Friday Mashup challenge I decided to do a Christmas in July theme. 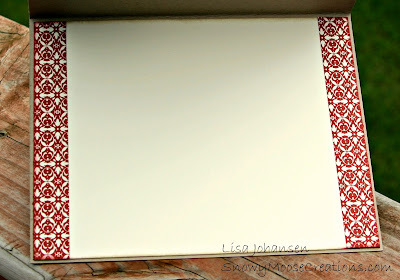 I love making Christmas cards all year long, they are actually my favorite card to make! You can also make a project and decorate the inside if it, make it just as pretty as the outside or you can mash it up and do both....make a Christmas card and decorate the inside of the card also! I cant wait to see what everyone comes up with! Make a project "For Christmas." Or Make a "Greeting Card & Decorate the Inside." 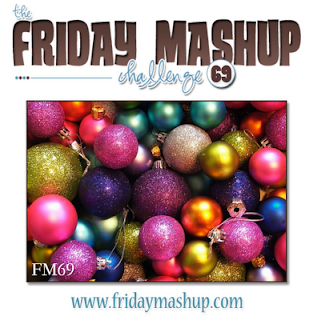 Or "Mash it Up" and create a "Christmas Card & Decorate the Inside." This is gorgeous, Lisa. You've done a beautiful job colouring in this image. I love that DSP too - inside and out! 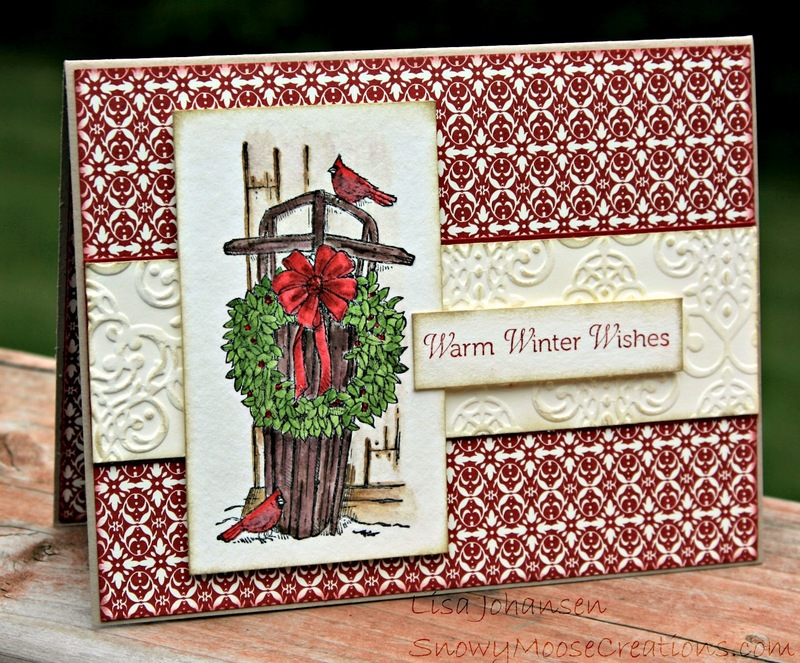 Gorgeous card Lisa - love the dsp with the embossed panel - lovely vintage feel! This card is absolutely stunning! Your coloring on the sleigh is just beautiful! I love the sponging around all the panels and that textured panel you used! The inside very nicely matches the outside too! This is beautiful, Lisa! What a great job of painting and your choice of background paper is so perfect with it. I love the way you decorated the inside too. I love this card. I saw it on Splitcoast. Is the wall and the floor espresso as well? Did you aquaipaint the sled? Hi there, the wall and floor are watercolored with Soft Suede and Crumb Cake. The entire image, including the sled, was watercolored with the aquapainter.